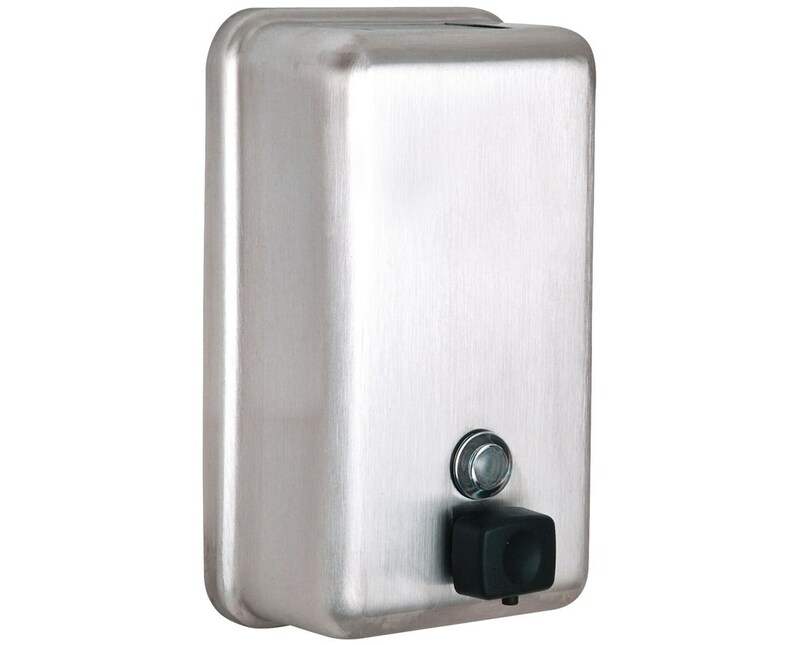 Compatible with most all-purpose hand soaps, the Alpine Manual Surface-Mounted Soap Dispenser is great for restrooms in offices, restaurants, healthcare facilities, schools, hospitals and other similar establishments. Its 40-ounce tank is made of durable, corrosion-resistant stainless steel with a brushed finish and is vandal-resistant. Plus, it features a clear window in the dispenser’s front to monitor fill level. 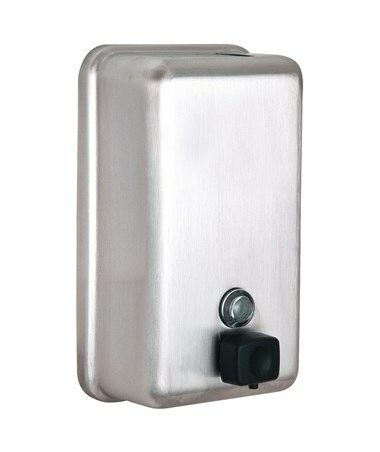 As an additional feature, the Alpine Manual Soap Dispenser is ADA compliant and uses a one-handed operation. 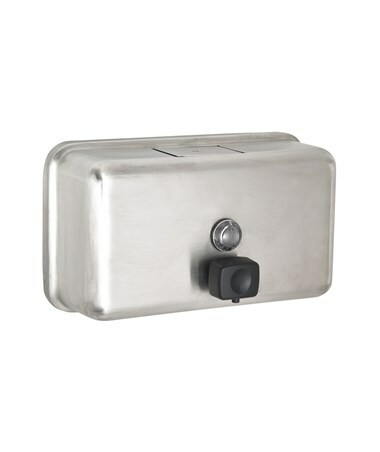 The Alpine Manual Surface-Mounted Soap Dispenser offers two different dispenser positions. Both are backed up with 1-year limited warranty. Please select your preference on the drop-down menu above.